Join Ian King on Fridays from 9pm to midnight. “Equinoxe” is a trip through the world of Progressive rock with frequent diversions into other genres of rock music! If you like more complex rock music as exemplified by bands such as Genesis, Spock’s beard, Karnataka, K2, Rush, The Who and others, along with some excursion into 60’s, 70’s and 80’s mainstream music, you will enjoy three hours on Friday nights presented by Ian King. “Equinoxe” has a uniquely British feel bringing back the days of Radio Caroline and programs like “your mother wouldn’t like it” on 1970’s Capital Radio Rock is dead! Long live rock!! I’ve been interested in radio from an early age, I had an old tube radio when I was 10 or 11 and grew up in the UK listening to BBC, Radio Luxembourg, radio Caroline and all the variety that made up the European radio scene in the 70s. I love the use of community radio and how we can inform, entertain and educate local listeners. I joined the LPFM project that would become Valley 104.9 shortly after the license was obtained and have been with them through thick and thin right through our getting on air to today. 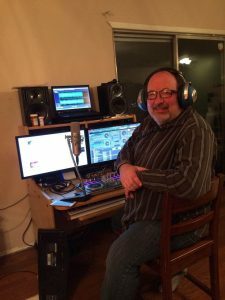 I really enjoy presenting “Equinoxe” our Friday Night rock show featuring progressive rock and other things from my personal music collection! Radio is dead! Long live radio! !